Yup, it's that time of the week again. Doesn't time fly? 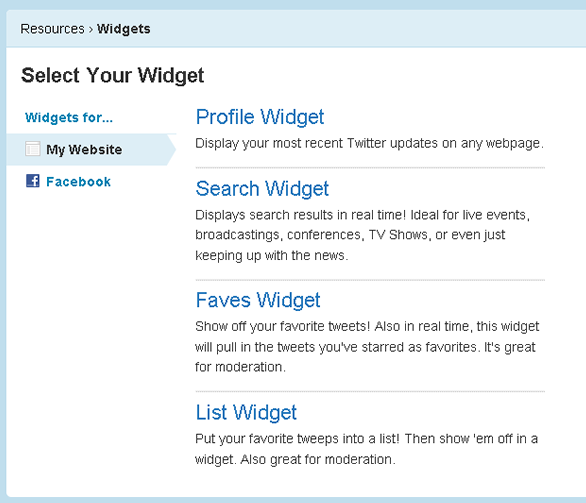 This week I'll show you how to display your Tweets (or Twitter Feed) on your website or Blogger Blog using the Twitter Widget. This post does assume that you have a Twitter account and are using the 'new' version of Twitter, and have a website or blog to add it too! 1. 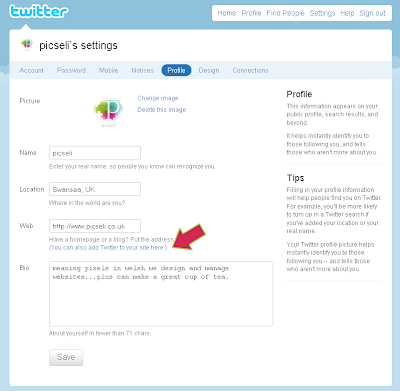 First of all log in to your Twitter account, then click on your Twitter name in the top bar (highlighted by the pink arrow below) to access the menu & choose 'Settings'. Twitter explains pretty well what they do, so I won't go into that. 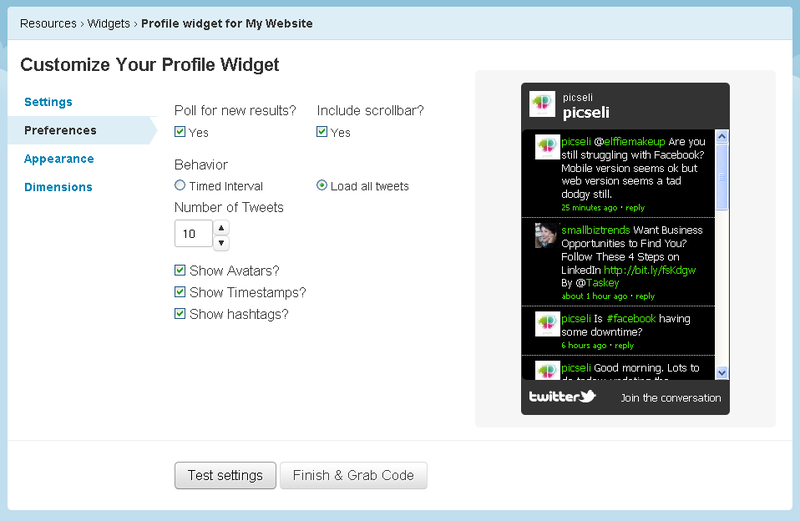 To display your tweets click on the first option 'Profile Widget'. 5. 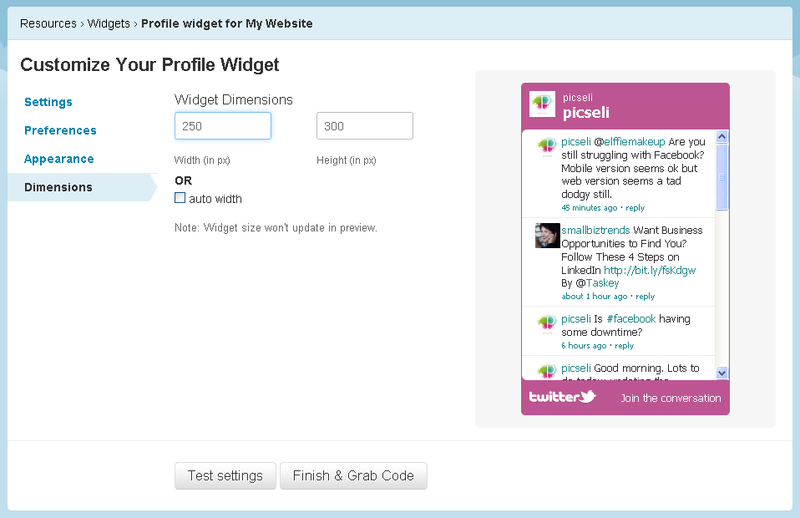 On the next screen, on the right hand side, you'll see an example of how your feed will look. As you make chenges this will change so you can see exactly what you'll get. Check your username and if you are happy with what you've got, click the 'Finish & Grab Code' button and head to Step 9 below. Ticked 'Poll for new results? '- This means that the feed will be updated in real time, so when you tweet, the latest tweet is displayed without having to reload the page. Ticked 'Include scrollbar?' 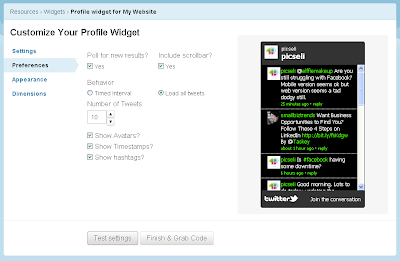 - This means that if the space needed to display the twitter feed is longer than the box a scrollbar will be added. Upped number of Tweets to be displayed to 10. Ticked 'Show hashtags?' - if this is unticked it won't display any text that is preceeded with a #, so in the case of the #facebook tweet above, you wouldn't get the full meaning of the tweet. Ticked 'Show avatars?' 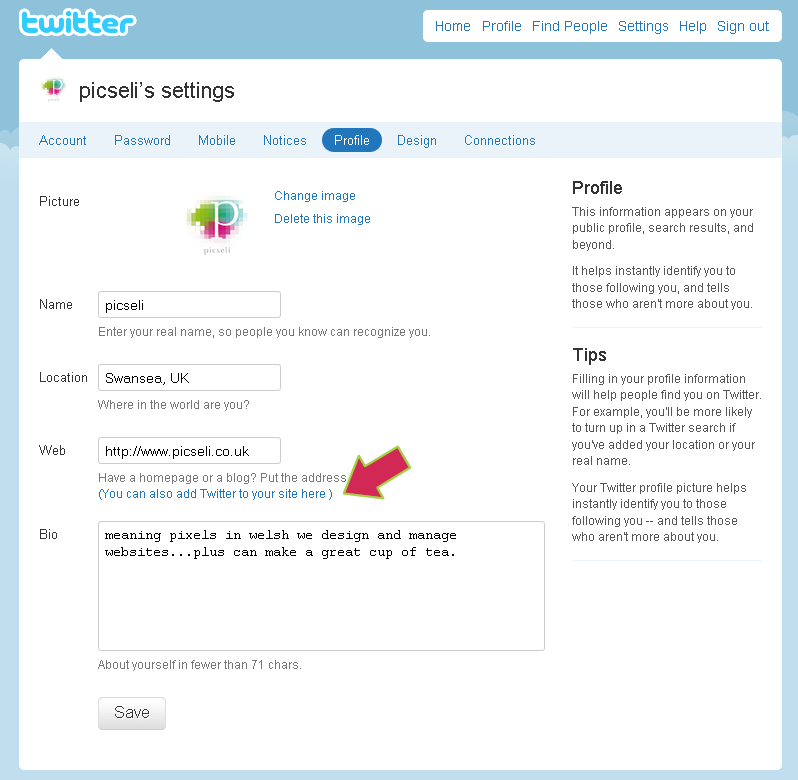 - to display people's images by their tweets. Timed Interval - which will display tweets one at a time, rather than loading them all at the start. 'Show Timestamps?' - which displays the timings of the tweets. When you are happy with your settings, click on the Appearance tab on the left hand side. Click on the text box or coloured square you want to update and use the colour picker, or if you have a corporate brand and access to the Hex codes you need to use, you can simply enter these. 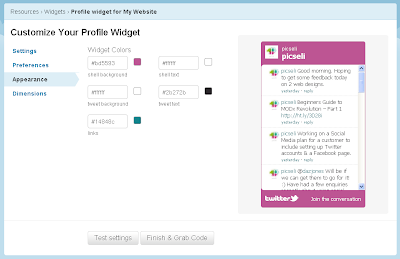 You'll notice your demo widget updates as you change colours, no need to click the 'Test settings' button. When you're done, click on the Dimensions tab. 8. 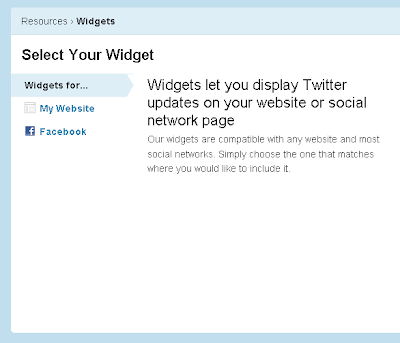 Here you can resize the widget to fit the space you need. This can be a bit tricky and may require a bit of trial and error to get it spot on, however, the auto-width option can be very handy here! 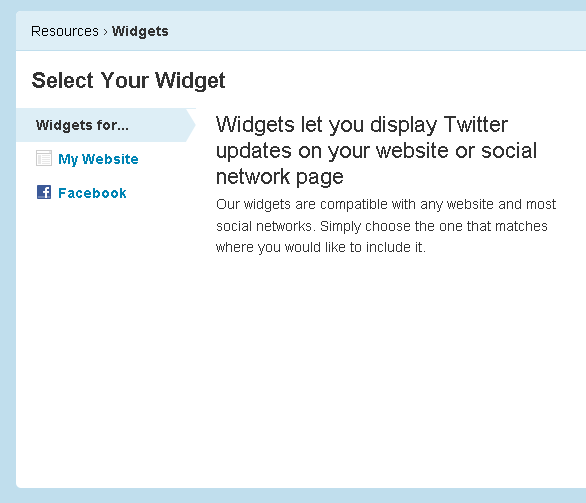 Tick this option to have your widget fill the space available. Unfortunately, as it says, you can't test your size settings here. If you know what to do with HTML, copy the code and do with it what you will! If you don't, copy the code and send it to your friendly web developer and ask them to install it for you. 10. 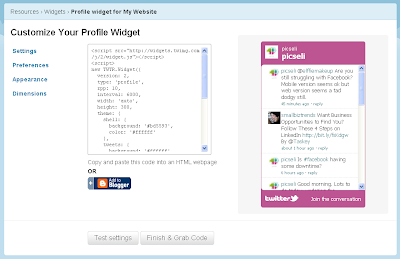 You will be directed to the Blogger website, where you will be asked to login (if you aren't already) and then asked to select a blog and enter a title for your widget. 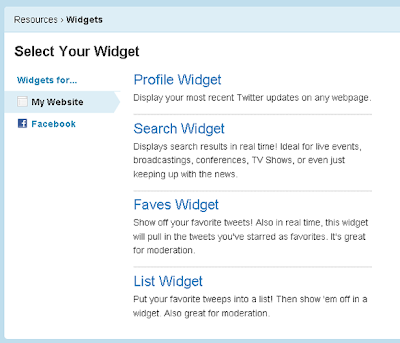 Click 'Add Widget' and Twitter will be added to your blog. 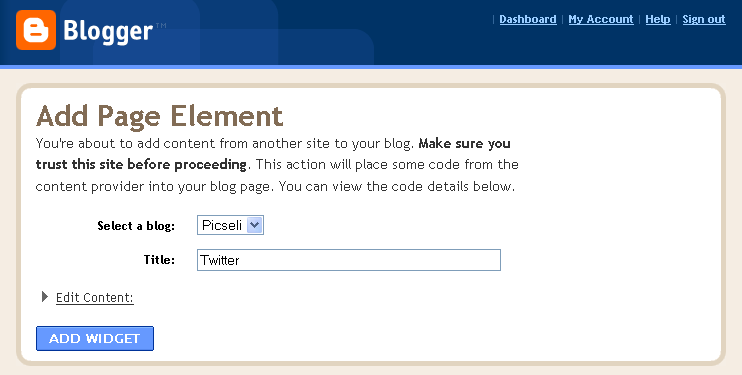 If you look towards the bottom of this blog in the right hand bar, you'll see Picseli's Twitter Widget! 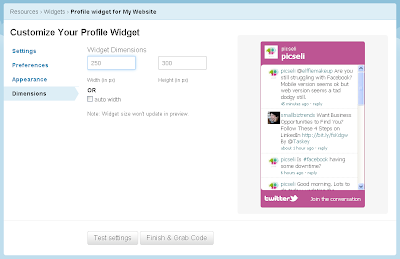 Thank you very much, I've been wanting to integrate twitter on my web site. This will be great for my site, integrating social networking will make my site more visible. Thanks. Social networking such as Twitter can make your website visible out in the market and people would be able to get news and updates from you. Thanks. I'm currently in the process of rehabilitating my website and by adding Twitter can surely help me reach more people. Thanks. Integrating the use of social media for your website is something that most business do nowadays. Thanks. 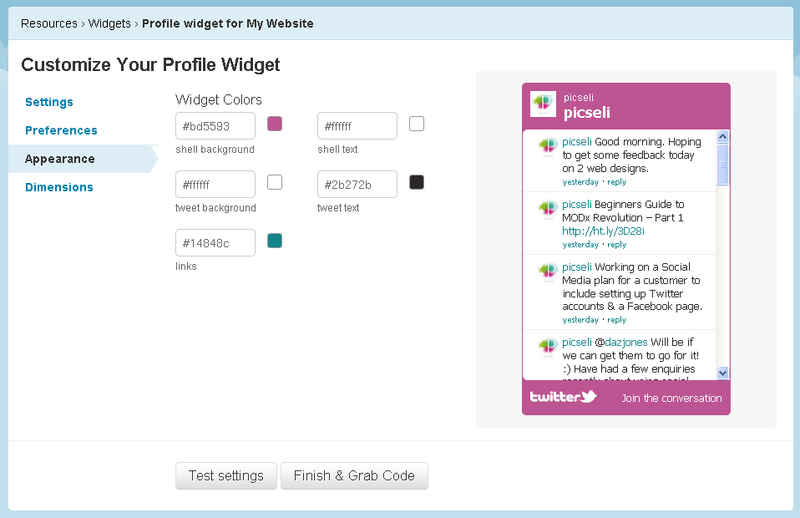 Integrating Twiter in your website is a great idea in engaging to your followers. You can reach to a wider audience and helps you in spreading information faster. Thanks for sharing these steps. I think integrating your Twitter to your website is a good way to increase your followers and reach your existing followers. 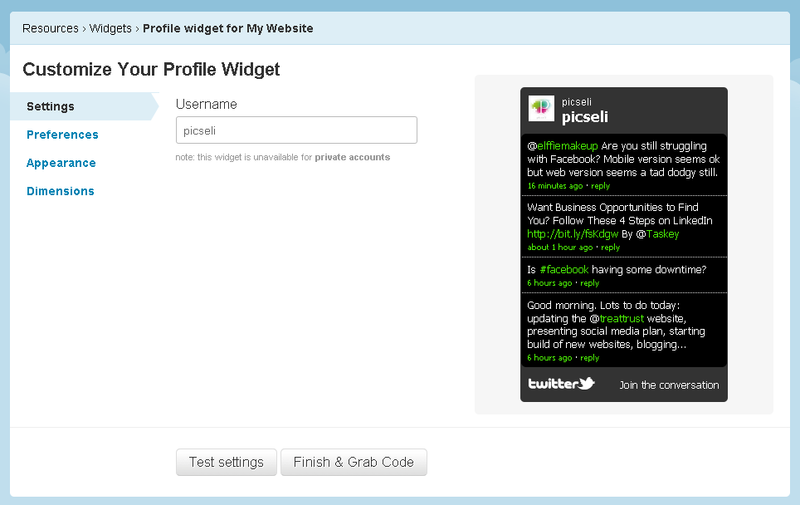 Integrating other social media tools in your site can really improve the traffic of your site's business. Thanks for these tips! I'm going to use these for my job in seo in Perth. I will also share these to my colleagues. 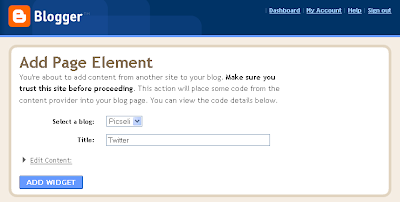 Is integrating twitter with our website help in any way in search engine optimization of our website ? Thanks for sharing these steps!